I am a retired teacher and I now tutor chemistry and chemistry only online to high school students anywhere in British Columbia. Because I only tutor chemistry, as a student or parent you can be assured that you are getting a chemistry specialist who is particularly aware of the British Columbia curricula for Chemistry 11 and Chemistry 12. My in-person tutoring availability is limited, but takes place at Wesbrook Village on the campus of UBC. Please note that my in-person tutoring is $55/hour. I spent 26 years teaching chemistry in the classroom and I have tutored both in person and online for the past three years. Currently, I mainly tutor online. My BSc is in Biochemistry and my BEd is in secondary education. I have a valid and current BC teaching certificate and a criminal records check as recent as 2015. I am also employed by the Vancouver School Board as a part-time teacher on call. 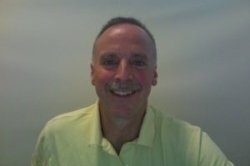 I tutor online from my own customized online classroom. Students receive an email link to click on at the agreed upon time. The classroom includes high quality audio and visual interaction as well as screen sharing including both physical and virtual whiteboards. Drag and drop file sharing is also used. The student requires only a good internet connection. For the first session, if the student is not completely satisfied with our first half hour we will conclude the session at no cost to you.